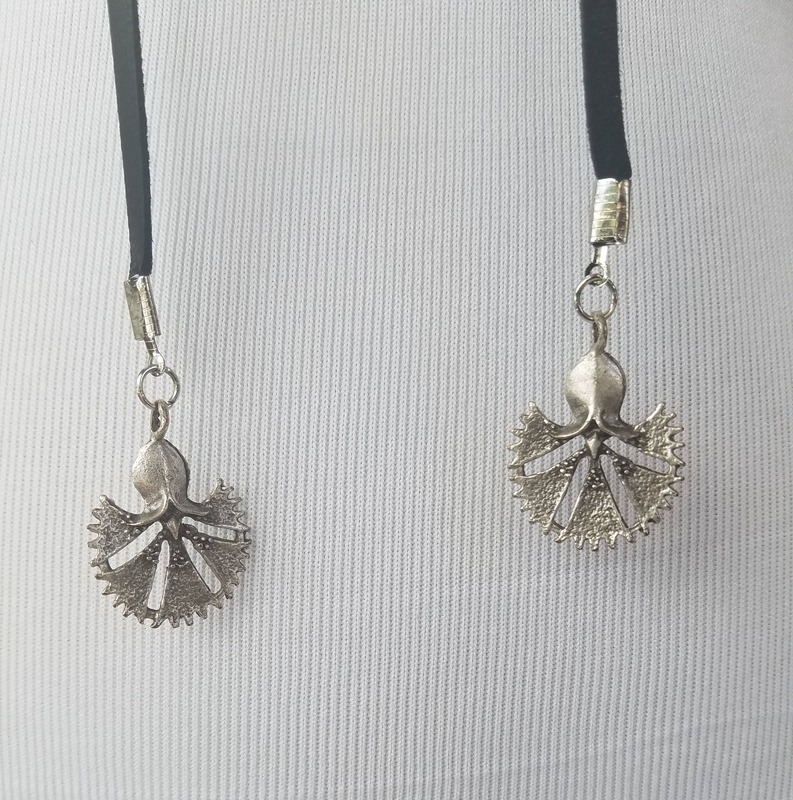 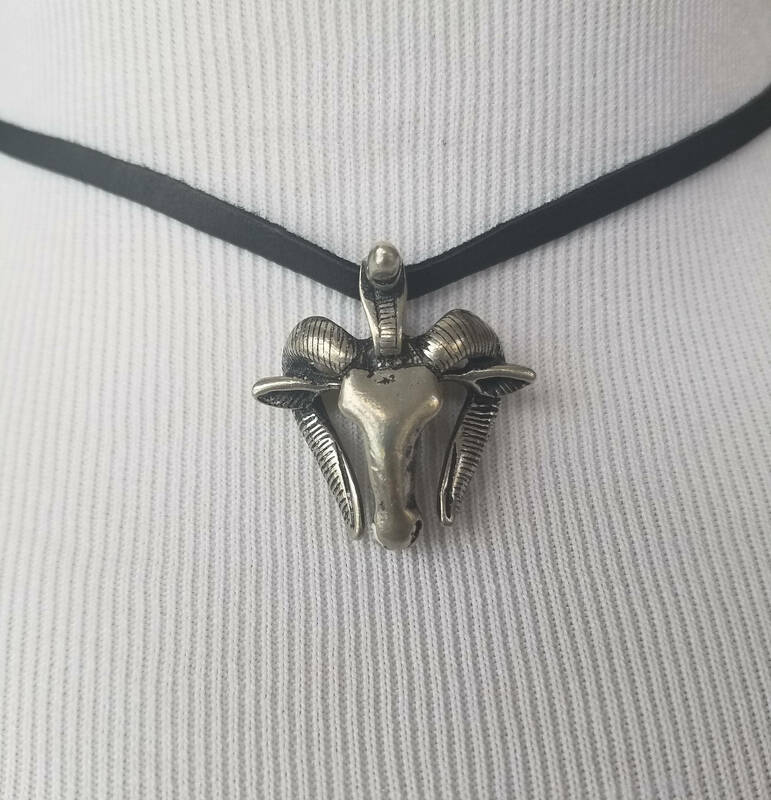 This handmade wrap choker features a pewter ram head pendant and two silver colored floral pendants on a black leather chord. 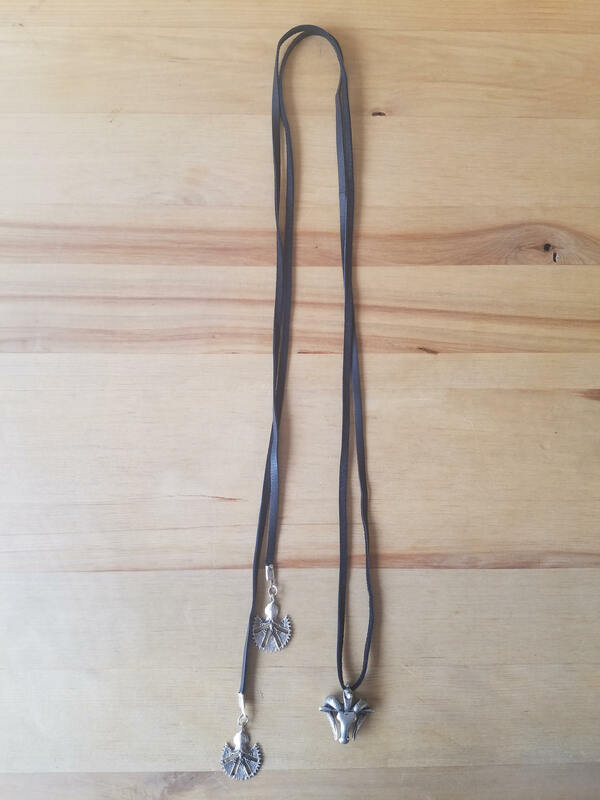 Leather chord measures 60 inches from end to end. 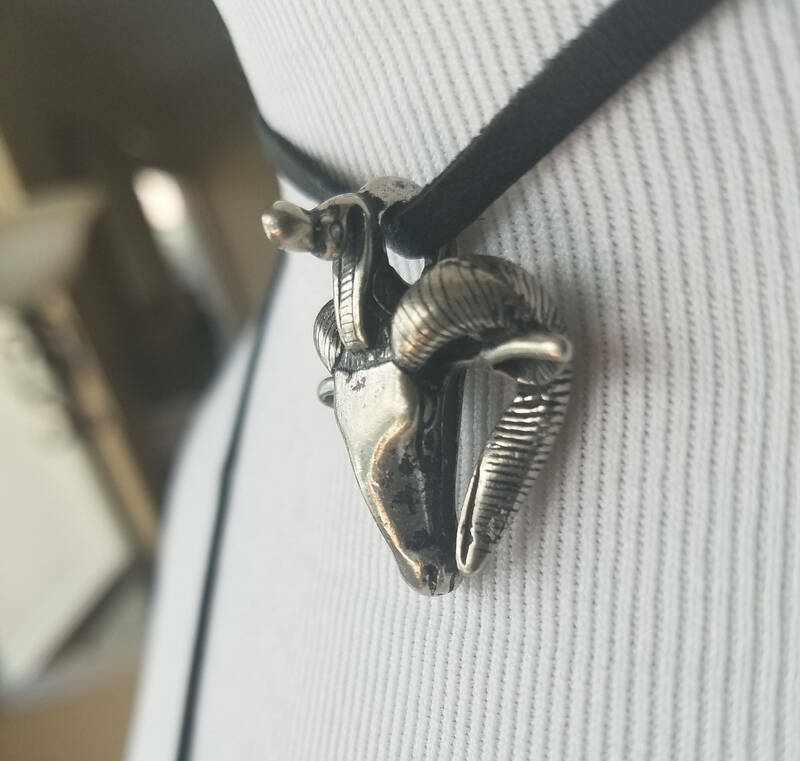 The ram head is sacred to the ancient Egyptian supreme solar deity, Amun-Ra.